Mode from maize that is mashed and thereafter distilled.  Blanco – A pure, distilled spirit that hos not been aged. Reposado – Literally translated as ‘rested’. This spirit hos been aged for a minimum of 60 days in oak, but is often aged for up to a year. Aiiejo – literally translated means ‘aged’. By low it must be kept in oak for a minimum of one year, but it is often aged for much longer. Brandies matured in French oak casks.